There are a number of different ways which you can buy Bitcoins from anywhere you’re at in the world. Large segments of populations from countries all over the world are adopting btc as a recognized currency. Most buy it for it’s privacy and ease of use to send payments. When you secure your coins and put them on your computer along with hardware wallet, you become your own bank. 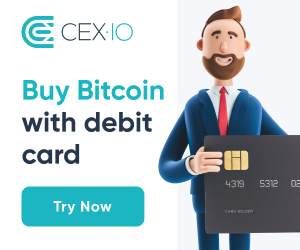 Now you can send BTC to any part of the world to any one else that accepts them. The USA is one of the best serviced markets if you want to buy bitcoin instantly. There are many exchanges such as coinbase.com and poloniex.com which can be used in the US. Localbitcoins is also very active in the United States, with the result that you can easily find people around you who will sell you btc for dollars, whether using cash or any other means of payment. For example, when you want to buy in New York, first search for local sellers on Local Bitcoins and contact them. You can then meet them in a secure public place. You can also buy in USA from bitcoin atm’s, which are available in a number of locations all over USA. India too has a very active Localbitcoins, where you can meet lots of sellers. You can also use Indian app called ZebPay. This app is available on Android as well as iOS, and needs you to upload your identification details before you can start a transaction. You can use your bank account to add payment to your account as another way to buy. Unocoin is another app and service that can be used to buy in India. See this list of the three of the largest exchanges in China. You can fund your account in these exchanges using a bank transfer. You can also use Localbitcoins.com to connect with local sellers, who can sell you bitcoins for cash. Using Localbitcions.com is one of the most private methods, because you do not leave a paper trail when you buy directly from a seller. This is especially useful in China, which has a lot of government controls on currency exchanges. Places to buy bitcoin in Russia list.